I’m up in Glasgow today running a workshop for Stellar Quines as an introduction to their excellent m*****classes sound design artist development scheme, supporting women looking to move into theatre sound design. Following on from it’s international touring last year, Barbershop Chronicles is now back in the UK, touring ahead of a run at the Roundhouse later this year. 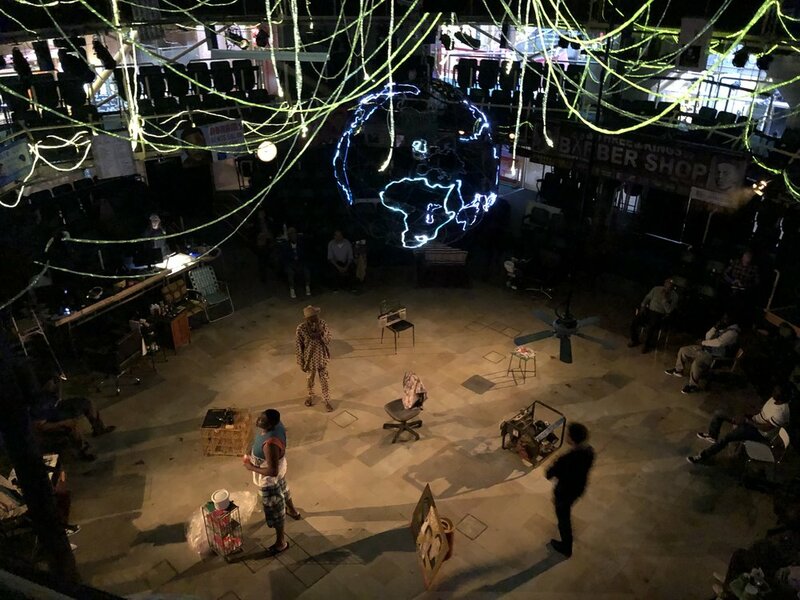 It’s rare for new venues to open in London, especially one with as much exciting potential as the Bridge Theatre, which feels like a large version of the Cottesloe/Dorfman Theatre, allowing more epic work to feel quite intimate. 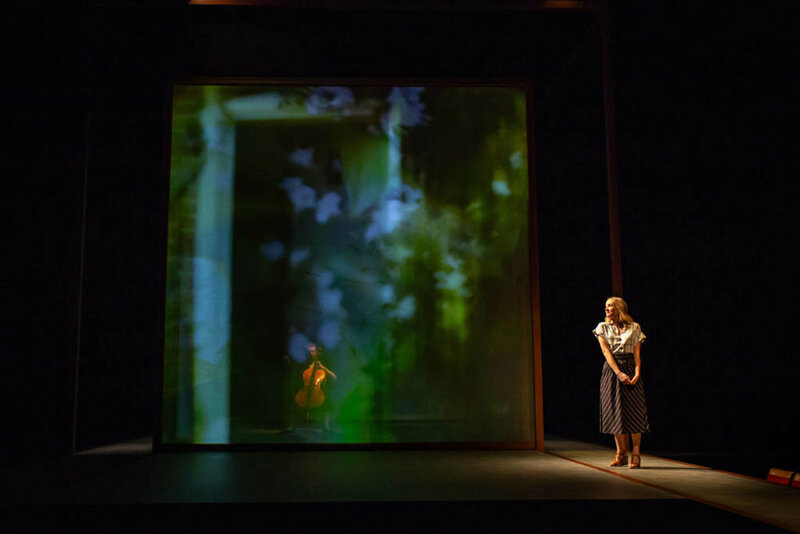 Alys, Always opens shortly at the Bridge Theatre and has been a lovely reunion of working again with Nick Hytner, Bob Crowley, Jon Clark, Christina Cunningham; and with the glorious looping cello compositions of Grant Olding, played live by Maddie Cutter. I’ve been working on the development of this mix of live performance, virtual reality and animation for a while, and it’s exciting to open it up to a public audience now. We’re previewing it at the Young Vic Theatre from Jan 21st to Feb 2nd. Tickets will go fast! Developed by the National Theatre’s Immersive Storytelling Studio and the National Film Board of Canada. Written and Directed by Jordan Tannahill. This is my 5th year designing the sound for the CBeebies Christmas show. This year we’ve adapted Thumbelina for the stage, featuring a seven piece band. Our musical was broadcast on CBeebies over Christmas, on BBC2 on Christmas Eve and played nationwide in Cinemas. After touring Australia and New Zealand earlier this year, Barber Shop Chronicles is now touring the USA and Canada for the next four months. Having toured in in-the-round and thrust configurations, this tour marks the first time we’ll play proscenium houses. Lisa Hammond & Rachael Spence with Improbable and the Royal Court Theatre. We originally made No Idea in 2010. Still No Idea has been developed from it for 2018. Have things change since 2010…? Come and find out! After a lovely Spring in NYC, we’ve opened Harry Potter and the Cursed Child at the refurbished Lyric Theatre on Broadway. It’a s glorious space for the show.